Netsocket, a start-up based in Plano, Texas, unveiled its flagship Netsocket Virtual Network (NVN) product suite for bringing SDN-based orchestration and automation capabilities to enterprise infrastructure based commodity x86 servers. Key goals include flexibility of configuration and management, seamless legacy network interoperability via the intrinsic routing capability in the controller, and commoditization of switching functions by eliminating the need for any network hardware other than commodity layer 2 switches and off-the-shelf x86 servers. The framework provides automated networking through NVN applications that are network configuration and operational state 'aware,' and capable of adaptively monitoring and controlling underlying network services. This would enable enterprises to cap their purchases of proprietary routers and layer 3 switches and begin to migrate towards an agile software-based network infrastructure that relies only on commodity servers and inexpensive layer 2 switches. Netsocket is natively targeting all of the popular hypervisors, including Microsoft Hyper-V. It is working on interoperability with OpenStack & Microsoft System Center. 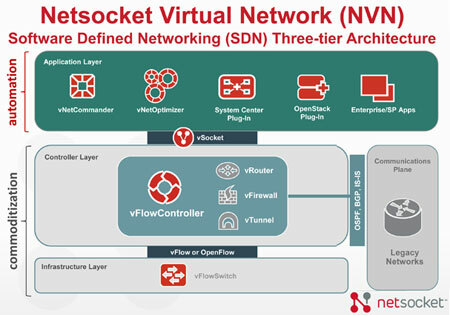 Netsocket is releasing a free version of its Virtual Network suite, including the vFlowController, the vFlowSwitch, and the vNetCommander-BASIC application. vNetCommander-BASIC allows for the creation and management of fully functional small networks. Paid versions support large networks. "The NVN portfolio is the culmination of Netsocket's vision to provide application aware, rich network visibility and the virtualized network resources required to automatically anticipate, isolate and remediate problems in the network," said John White, President and CEO of Netsocket. "The NVN portfolio provides customers with an SDN migration strategy that has practical use cases as well as enterprise-wide deployability"
NetSocket currently offers a Cloud Experience Manager (CEM) that provides insight into unified communications (UC) issues. The software goes beyond monitoring to include IP network information correlation. It automatically correlates session, content and topology data in real time, without probes, enabling managers to anticipate, isolate and remediate network problems. Netsocket is headed by John White, who previously held executive positions at IBM and AT&T/Avaya. BYTEGRID Holdings, which operates highly secure, interconnected, carrier-neutral, data centers in the Washington, D.C. and Atlanta metro areas, announced a seven-year contract by the U.S. Department of Labor. Lockheed Martin serves as integrator on the project. The contract calls for the consolidation and relocation of DOL's data centers in metropolitan Washington into BYTEGRID’s ultra-secure, financial grade facility in Montgomery County, Maryland. The overall plans include a sequential move of data centers to BYTEGRID and to the cloud. 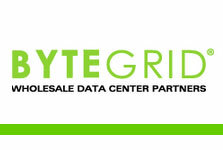 BYTEGRID’s facility is the largest multi-tenant data center in Maryland featuring 214,000 sq. ft. of data center space and over 90,000 sq. ft. of raised floor. It features new redundant power supply systems, providing a total of nine (9) megawatts of critical load power, twenty-two (22) megawatts of on-site power generation and cooling that exceed requirements for concurrent maintainability and fault tolerance, with future planned expansions to double critical load power capacity. BYTEGRID said the contract supports the Federal Data Center Consolidation Initiative (FDCCI), which aims to eliminate and/or consolidate 1,186 federal data centers by 2015, according to the Office of Management and Budget (OMB). The initiative and consolidation activity is tied to other industry trends including server virtualization, cloud computing and energy efficiency. Verizon launched a Live Events service that can acquire event feeds from any source -- including satellite, terrestrial fiber and Internet -- then transcode and deliver the content to broadcasters and other commercial customers. The service also provides proactive monitoring and robust redundancy over Verizon's global network. The service, which is offered through an exclusive agreement with Origin Digital, a premier video-streaming company, is aimed at broadcasters and over-the-top content providers. Verizon said its Digital Media Services contributes to the over-the-top video competitive landscape in the U.S. by offering seamless, end-to-end solutions that greatly reduce the complexity of digital content management through simplified operational processes and a fully transparent supply chain. "There are no second chances when it comes to live events," said Bob Toohey, president, Verizon Digital Media Services. "Verizon Live Events combines depth of experience, market-leading technology and exceptional reach to create memorable experiences for viewers watching their favorite live events. This combination offers a single solution for a wide range of live events -- from multinational sporting events to breaking news and business meetings to concerts and red-carpet premieres." 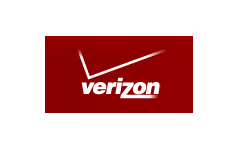 Verizon Live Events service joins the video-on-demand and linear channel services also offered on Verizon's video-optimized media platform. 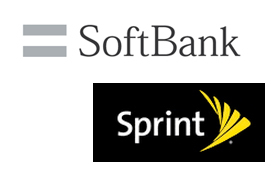 Sprint and SoftBank confirmed that they now expect to close their merger on July 10, 2013, effective after the close of trading that day. The vast majority of Sprint shareholders will receive cash for their shares. Only about 3% of outstanding shares elected to receive shares of the Sprint Corporation ("New Sprint") common stock. A required majority of Clearwire stockholders not affiliated with Sprint or SoftBank voted to approve the deal under which Sprint will acquire all shares of Clearwire which it does not currently own for $5.00 per share. Sprint now expects to close the transaction on Tuesday, July 9th. 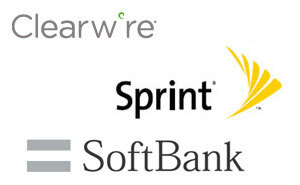 Softbank's acquisition of Sprint should follow on Wednesday, July 10th. 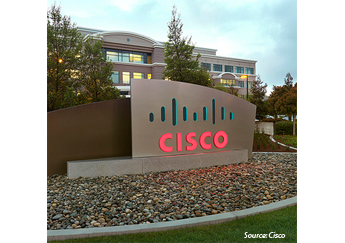 Vodafone India has selected Cisco for an end-to-end IP networking upgrade. Cisco will supply a multiservice convergence platform to serve Vodafone’s residential, business and mobile customers with a single network infrastructure. Financial terms were not disclosed. Compass-EOS has added Comdate Pty Ltd from Australia to its channel partner network. 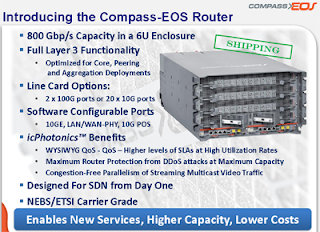 Comdate Pty Ltd will now integrate the Compass-EOS carrier-grade r10004 modular routers in its solutions for service providers and enterprise customers. The r10004 uses silicon-to-photonics to drive more bandwidth at high port densities. Zimory, a start-up based in Berlin, Germany, raised $20 million in venture funding for its cloud management software. Zimory’s intelligent Cloud Suite simplifies, automates and expedites the creation, launch and management of all types of cloud environments – whether public, private, virtual private or hybrid. The funding round was led by Deutsche Boerse and included Creathor Venture, High-Tech Gruenderfonds, IBB Beteiligungsgesellschaft, KFW and T-Venture. Zimory was founded in 2007. Deutsche Börse, which operates the Frankfurt Stock Exchange, has formed a joint venture with Berlin-based Zimory GmbH to create a neutral, secure and transparent trading venue for cloud computing resources. al storage and computing resources, or have excess capacity that they want to offer on the market. 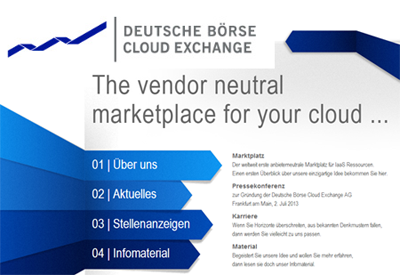 Deutsche Börse Cloud Exchange will set and monitor standards regarding the product offering, admission procedure, changes of provider and guaranteed purchased capacity. Clients will be able to choose capacity providers freely, as well as select the jurisdiction that will apply to the outsourced data. The product offering will initially include outsourced storage capacity and computing power. The company said it will work closely on standards with potential marketplace participants, including traditional IT vendors, national and international SMEs, and large corporations from a wide range of industries, such as CloudSigma, Devoteam, Equinix, Host Europe, Leibniz- Rechenzentrum, PROFI AG, T-Systems and TÜV-Rheinland. Ixia announced that its revenue for Q2 will be in the range of $114 million to $116 million, below the company's previous guidance of $119 million to $122 million. The company cited lower sales from network equipment manufacturers but said revenue from recently-acquired Anue Systems and BreakingPoint Systems are expected to be at the high end of the previously given range of $28 million to $32 million. "We are disappointed with our topline performance this quarter, which was impacted by several factors, including lower than expected revenue from network equipment manufacturers and certain service providers as customers extended review cycles and certain large deals that were pushed into future quarters," said Vic Alston, president and CEO of Ixia. "We did, however, see several positive trends in the quarter. Sales to our two largest customers, AT&T and Cisco, were strong and in line with expectations, and our overall book-to-bill ratio was in excess of one. Additionally, the performance of our 2012 acquisitions, Anue and BreakingPoint, was very encouraging and revenue is expected to register at the high end of our expectations for the second quarter. These indicators give us confidence that our competitive position remains strong although we remain cautious about the near-term spending environment," continued Alston. Full results are expected on July 30, 2013 after the market closes. Broadcom has appointed Dr. Ting Wei Li as Senior Vice President of Sales for China, Taiwan and Hong Kong and President of Greater China. Dr. Li joins Broadcom from Marvell where he served as Vice President and China General Manager. Prior to Marvell, Dr. Li was head of Qualcomm's Shanghai office and Senior Director of Business Development. Previously he served as Technical Deputy at Lucent Technologies and held research positions in the U.S. and China. Dr. Li began his career in a variety of research roles in materials science and experimental physics.